We’re so picky about our deck building materials we created our own line of wood and deck building products! 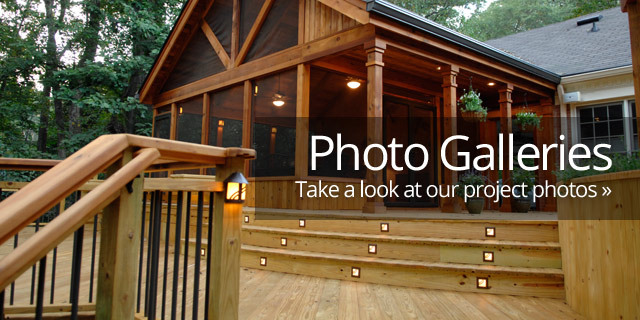 If you’re a homeowner in the Athens and Northeast Georgia area, you’re probably familiar with the South’s rich history of outdoor living spaces, specifically decks and porches. Early last century, porches were an integral part of everyday Georgia life, whether you needed to get out from the stagnant and sweltering confines of the house or you wanted to visit the neighbors down the street and “set a spell”. Lots of things have changed since then, but the fundamentals from that era have not. We still value entertaining our friends and family as well as our privacy. Set against the Blue Ridge Mountains and enriched by a great climate and abundant resources, Northeast Georgia is the ideal backdrop for spectacular decks and porches…perhaps in the world. When building or purchasing a home, it’s not uncommon to envision adding to it at some point. After all, while the house serves a lot of purposes, an outdoor space complements and enhances. Additional home space also supports a financial position. Because of economic instability, fewer people today are looking to move to a larger dwelling…they are instead choosing to improve the home they live in. Supporting this decision is the latest real estate survey that shows outdoor living spaces holding 77% of their value. 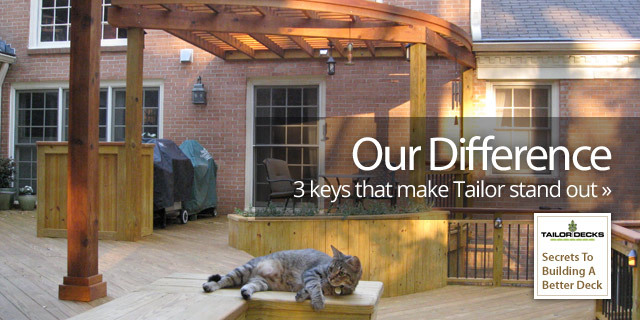 Tailor Decks has proudly carried our rich tradition forward, building hundreds of area decks and porches for 20 years. 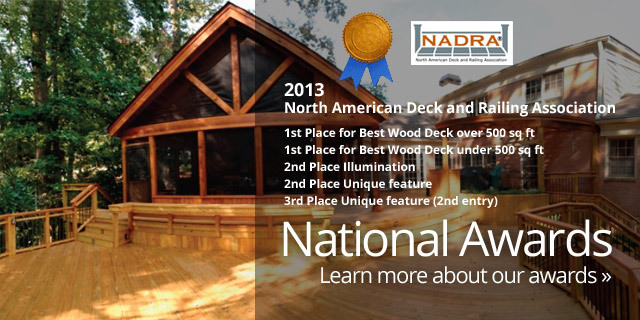 We are the premier outdoor living space contractor in the Athens and Northeast Georgia area, winning national awards for our work. Our core approach has remained the same over all that time – we collaborate and design the highest-quality structures tailored to meet the homeowners’ general vision…all at a reasonable price. Take a look at how we’re different from our competitors. So whether you’ve already developed some ideas for your project, or want to move forward but need some help, call us to discuss at 770-725-4646. Check out our Awards page for more. 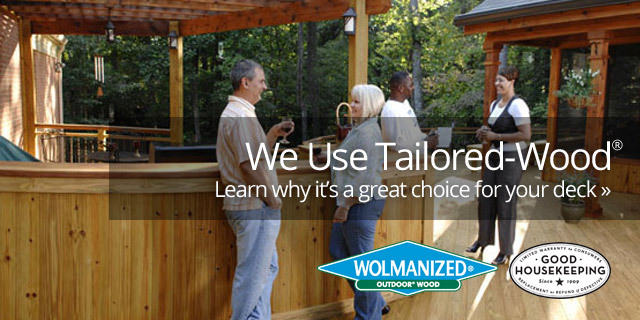 Click here to read John Paulin’s article about Open Air Decks published in Remodeling Magazine. Click here to read John Paulin’s article about Wood Decks that recently published in Professional Deck Builder Magazine. 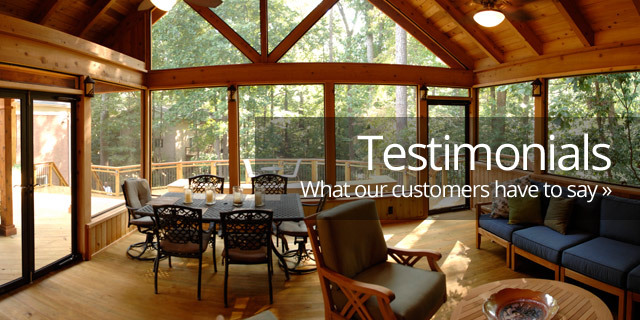 One of the most requested services in the Athens and Northeast Georgia area today is for open air porches and patios. With our climate, an open air porch is a great option for your home throughout the year.